Description: Ovale casserole/Dutch oven 4,5 liters with boro silicate glass lid, can be used in oven to a temp of 220ºC. 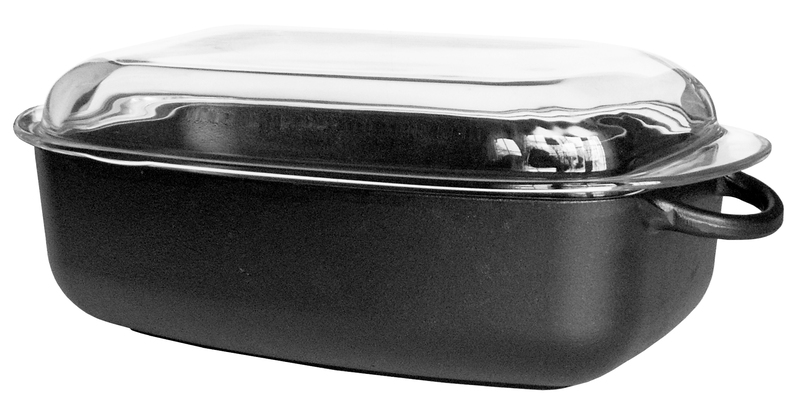 (Sometimes the lid comes with a Bakelite knob, also oven proof to the same temperature.) 33x22x10 cm. Preseasoned with Swedish KRAV certified rapeseed oil.